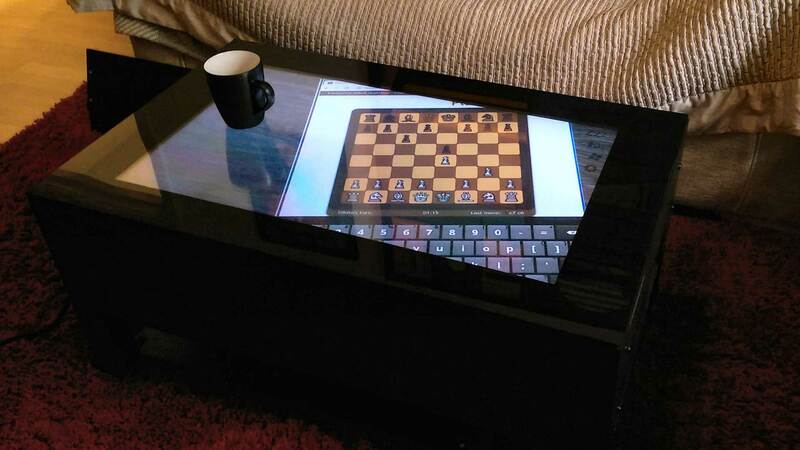 Forget about the old and boring coffee tables, in our days everything is becoming high tech and cool. So maybe is the time to reconsider getting a coffee table which is smart. The Jigabyte Touch Screen Coffee Table is the gadget of the season for sure. It is a fully interactive touch screen table which allows you to surf the web, play video games, make online purchases and still socialize with friends. This is a luxury gadget for the modern, smart home which allows the user to interact with the Internet and other gadgets. The coolest feature is that you don’t have to stay on the wright side of teh table. The touch screen is responsive and smart and it allows you to drag the windows where you want them. You can also resize or rotate them as pleased. it also can be used as a touch-screen windows PC with the help of a keyboard and a mouse. Basically it is the device for the cool, modern lifestyle. It can be used o see videos, play games and surf the web and you can also listen to music. It has built in speakers and an audio output jack which makes connectivity easy. Just connect the smart coffee table to a hi-fi system and you will be able to enjoy your music. And you can connect other devices to the table via USB. The Jigabyte Touch Screen Coffee Table is a cool coffee table to have. It is powered by a powerful computer and tech enthusiasts will love it for sure. This is a luxury gadget, its price tag is £1995.00 and you can get one from Jigabyte.co.uk.